Following is a list of recent donations to the Pittsfield Township Historical Society. Monetary contributions and gifts of artifacts are greatly appreciated. 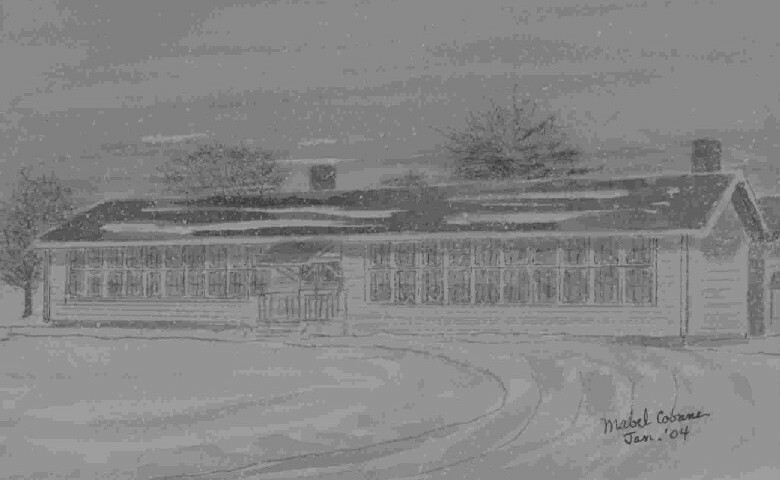 painting of Platt School -- by and from Mabel Cobane. Check out this beautiful painting in our archives. Click picture of the school for a larger image. 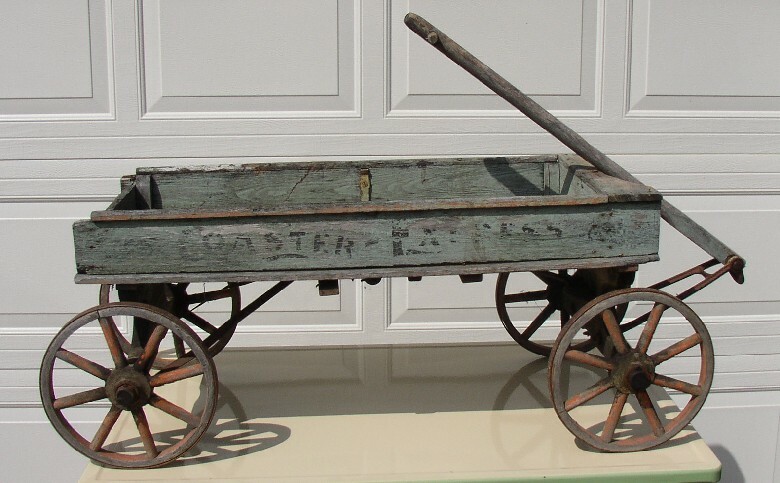 wooden wagon, approximately 100 years old -- Shirley and Carl Thayer. Four generations of Shirley's family played with the wagon. It has a hardwood frame body, metal axle and metal banded wooden wheels with wooden spokes. Click photo of wagon for a larger image. Monetary donations -- Total of $2,445 to the Robert Lillie Memorial Fund. Contributors include: Thomas & Elizabeth Anderton; Walter & Ruth Averill; Ayres, Lewis, Norris & May Inc.; Wilma Bailey; Jan Benzinger; John & Darlene Borowski; Richard & Patricia Borowski; Richard & Rosie Borowski; Robert Borowski; Tillie Brown; Dolores Church; James & Geraldine Climber; Marian Cope, William & Iva Covert; Mary Cruse; Jack & Mary East; Carl & Florence Ernst; Garrett & Mary Evans; George & Judith Goodman; Thomas & Joann Green; The Haber Family; Robert & Ann Hall; Robert & Blanche Hofman; Don & Darlene Horning; Kirby Hueter; William & Patricia Hueter; Lloyd & Mabel Johnson; John, Mary, and Jack Kerner; Charles & Dorothy Kopta; Arthur & Kim Kubert; Donald & Betty LeClair; Raymond & Shirley LeDuc; Robert & Joan (II) Lillie; Thomas & Doris Lillie; Edward & Thelma Litwin; Nancy Lohr; Lynn Lumbard; Wanda Lutz; Ed & Diane Makielski; Ralph & Glenda Maten; George & Lorraine McCabee; Elizabeth McMullan; Roger & Susan & Family Miley; Theodore & Kay (Jr.) Miller; Wanda Montibeller; E. A. & Virginia Morris; Stephen & Laura Morris; Donald Nefske; Sylvia Nefske; C.S. & B.J. Oler; Mary Pedley; John & Nancy Pillsbury; Michael Powell; James & Helene Reader; Reading, Etter & Lillich (John Etter) Attorneys at Law; Calvin & Marva Jane Reimold; Warren & Marilyn Rentschler; James & Helen Richards; Homer & Kathleen (and Family) Rose; Michael & Susan (and Family) Rose; Lisa L Schirmer; Lucille Schirmer; Martha Soper; Larry & Bennett, Marcia Steeb; Tappan Middle School, Sunshine Fund; Tony & Mary Tata; Carl & Marcia Ticknor; C. Edward & Mary Ellen Wall; Mona Wenzel; Harold & Mary Wilson; Clara Wing.